How do I navigate here? - We dare you! – all dependent on that people want to share information and experience. Pages can contain articles, galleries, links and other information that we want shall be accessible via the menus. All the info here can be composed by many authors, but the actually publishing has to be done by one of the founders. Blog posts are more like diaries. They can be written on a daily basis, once a month or once a year – there are no rules. The authors are given access to the system and can publish blog posts whenever they want to, with or without support from us. The most recent blog posts (by calender) will be on top under the heading “Latest News”. Blog posts that we want to be visible on top even though they might not be the latest blog post, we put them either under High-lighted or they are accessible via one of the oblate pictures on top. Feel free to post questions or tips via the “comments”. Write in the reply box if you want to reply on the actual blog post. Press the reply-button on a comment, if you want to respond on that special comment. Currently we have one to many texts for “reply”, but the function as such is working just fine. 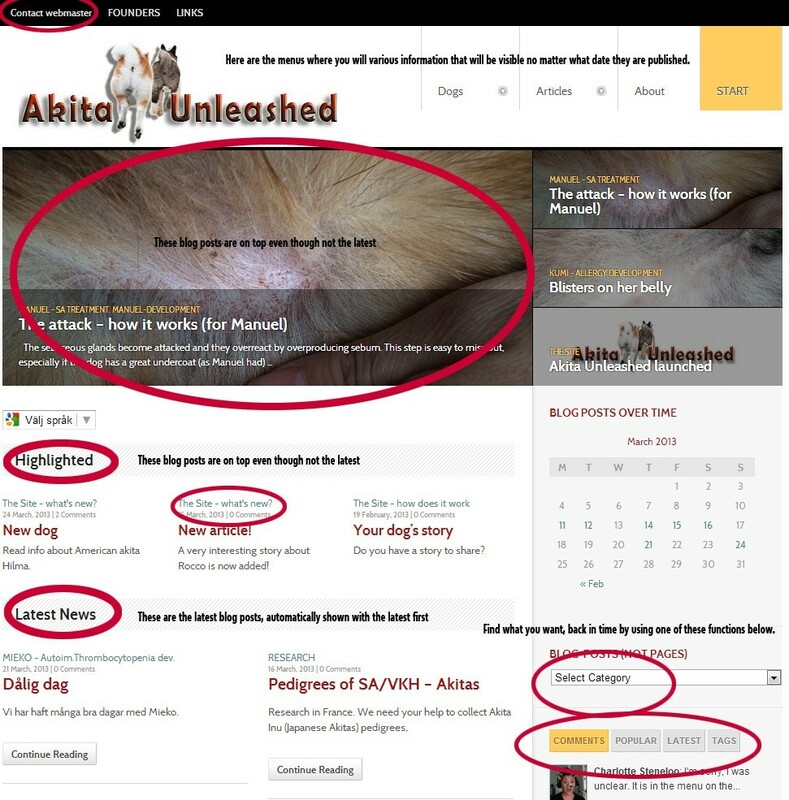 By registering you will become a subscriber to news at Akita Unleashed. You can “like” us on Facebook and that way find out when there are updates. We do not want language to stop us, so even though we prefer English we welcome authors using other languages too. Google Translate can often give an idea of what is written. You are most welcome to contact us via e-mail.